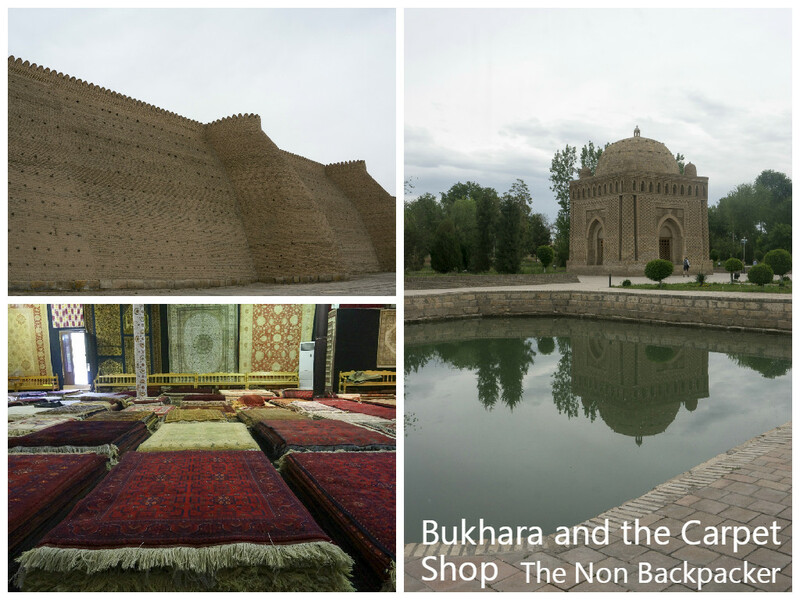 Today was our first real day in Bukhara and we were both excited to see what it offered. We knew we had a fairly packed day ahead and a promise of a wonderful carpet shop! 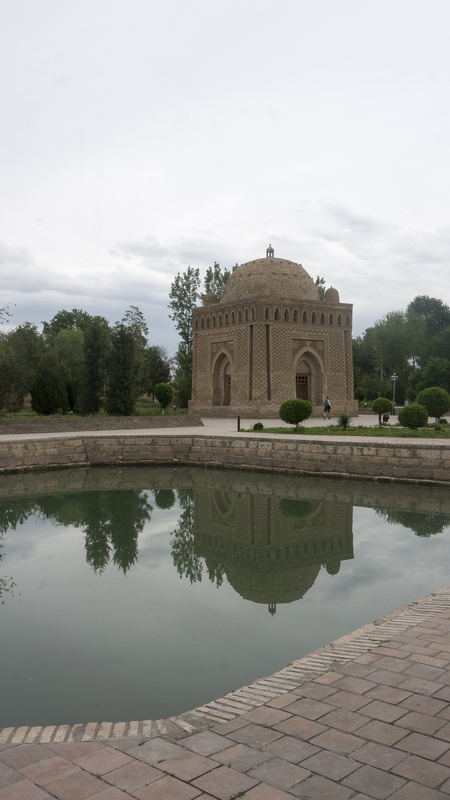 Our first point of call was the Ismael Samani Mausoleum which was centred in a large park. To be fair the park was very pretty but did look a tad tired and had remnants of its Russian rule in the shape of a Ferris wheel which Stuart assured me was identical to the one in Budapest! 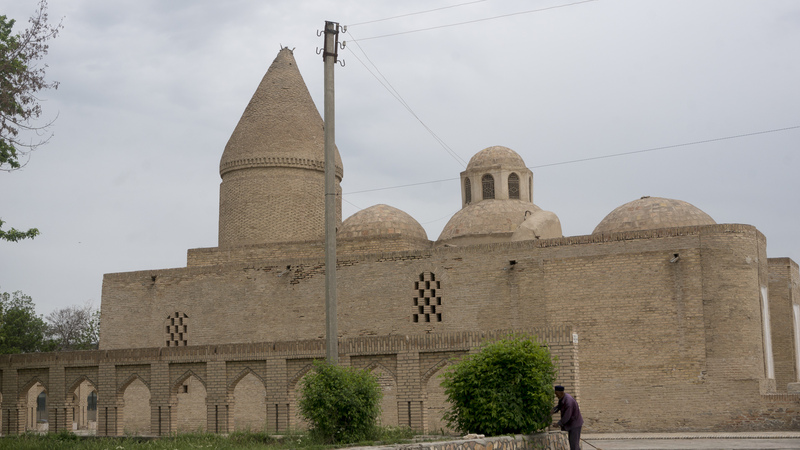 The Mausoleum was built between 892 – 943 and is a very interesting in terms of its architecture. 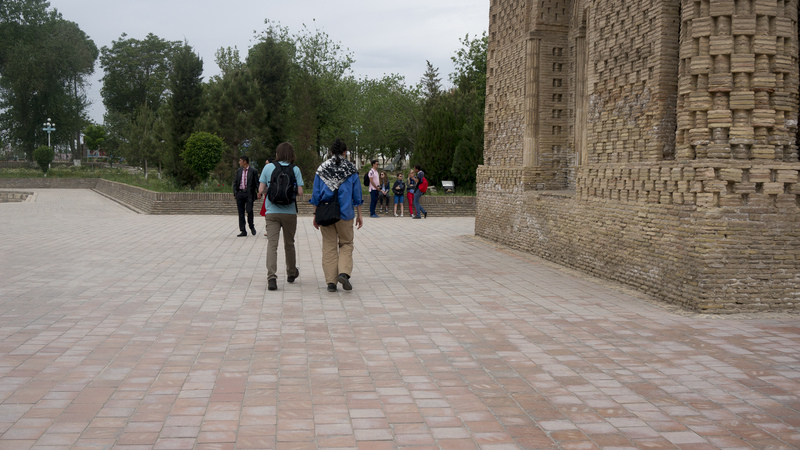 A change in style from Samarkand the bricks are baked and left their natural colour. The details on the bricks were impressive but I think the pictures do it more justice than I can!! We were told of one legend if you walked around the Mausoleum in a clockwise direction 3 times then you could make a wish and it would come true! So off we all set walking around it 3 times – this may have been a ploy by our guide to make us look rather peculiar but it was fun all the same. We headed off through the other side of the park and made our way to a Water Museum, sounds odd I know but it was quite interesting. 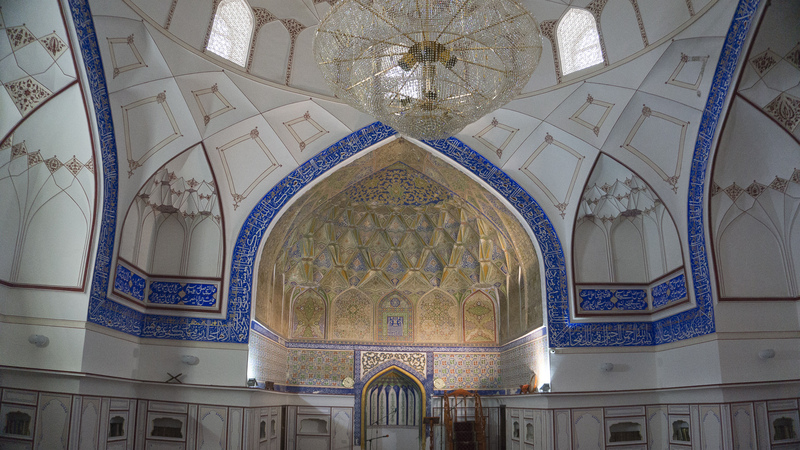 The museum is housed inside the Chashma-i Ayub Mausoleum where there is a holy spring associated with the Prophet Job. 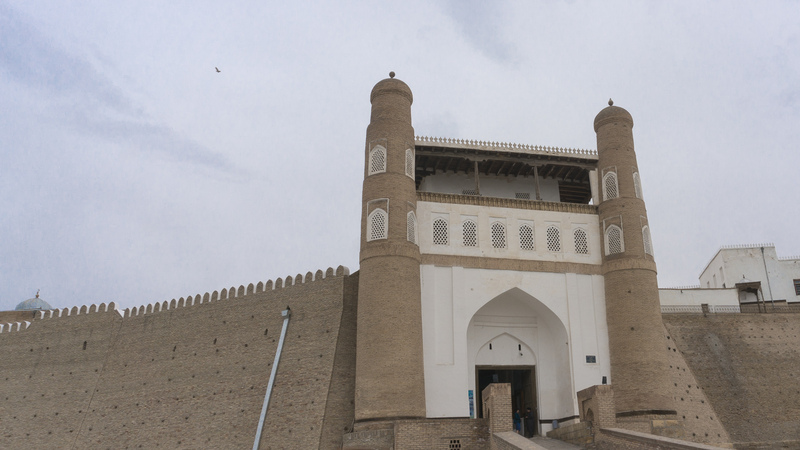 Legend states when he was wandering the country and arrived in Bukhara he was tired of the drought and struck his staff to the ground where a spring appeared! The museum depicts how important water is to Uzbekistan and clearly showed the decline in the Aral sea which is shocking and slightly horrifying. There is still a well over the spring and if you are that way inclined could sip some of the water – from memory it smelled a little like eggs!! 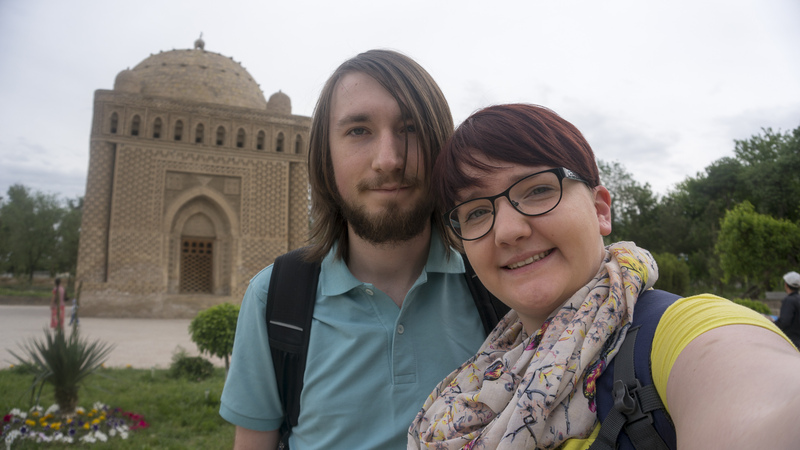 The good thing about Bukhara is you can walk everywhere so we wandered towards the Ark Fortress and stopped off at the impressive Bolo Hauz Mosque. The Mosque was undergoing extensive renovations to the exterior – restoring it to former glory I suspect. The wooden columns were epic and gave it a very grand appearance. Which was fitting as it would have been where the Emir went for Friday prayers. The next two things to happen were bizarre and special! 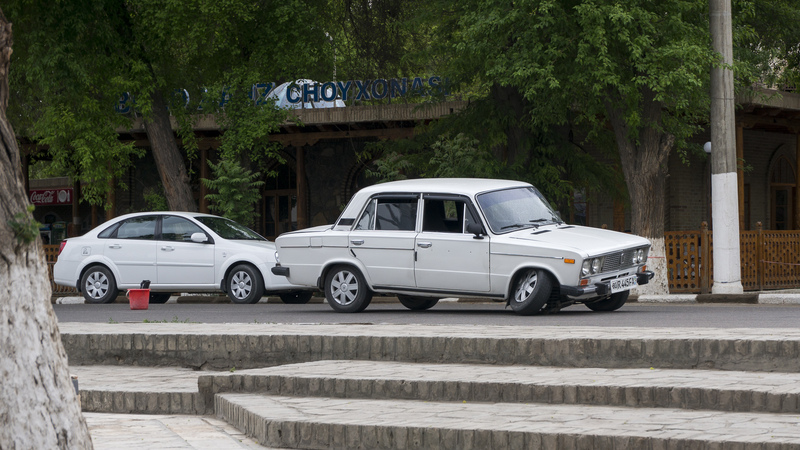 Firstly we heard a crunch and then a scrape, to our right on the road a Lada’s front axle broke and basically left the wheel hanging off at a funny angle. The occupants of the car just got out and went to sit at the side of the road as if this were a regular occurrence! 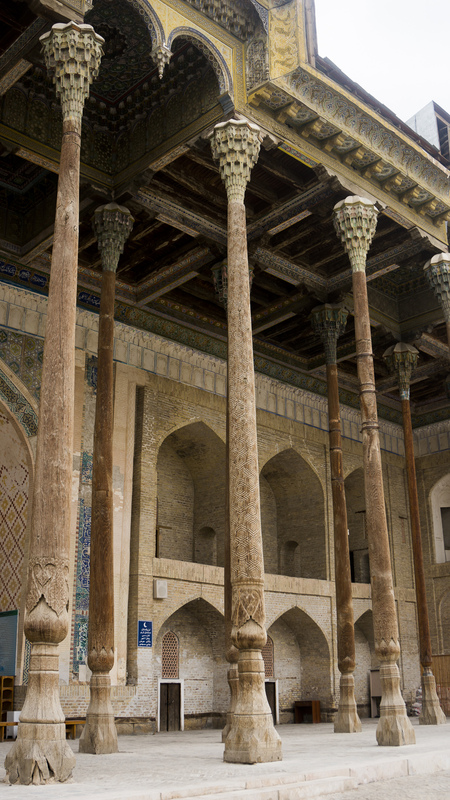 Secondly our guide spotted the Iman of the Mosque and agreed with him to show us into the Mosque via the back entrance so as not to disturb the renovations. 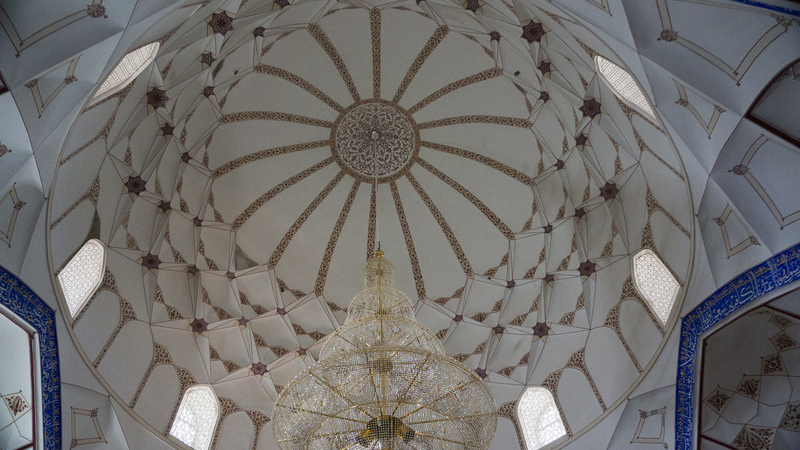 The interior of the Mosque was stunning, from the original paintwork in the eaves to the chandelier hanging from the ceiling. We were very lucky to be in the right place at the right time to get a chance to go inside!! 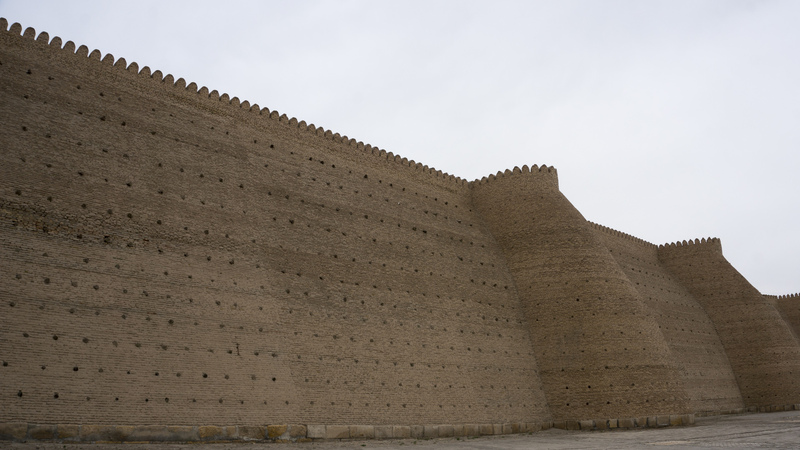 Our next stop was the Ark Fortress with its massive imposing defensive walls! It was built and occupied in the 5th Century and housed basically a small town inside its walls. One of its most notable uses was where the British spies Arthur Conolly and Charles Stoddart were held and then finally killed as part of the The Great Game. 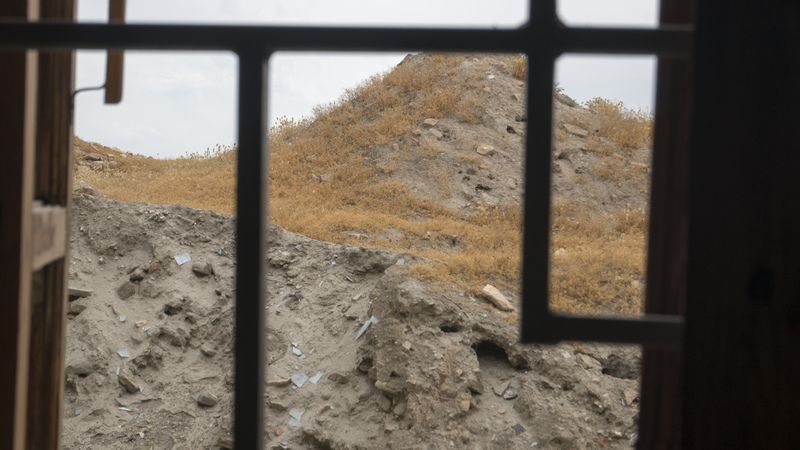 We looked round some of the rooms and exhibits on show, only part of the citadel had been restored most of it was still under ground which is a shame but would be a massive task to restore it all. 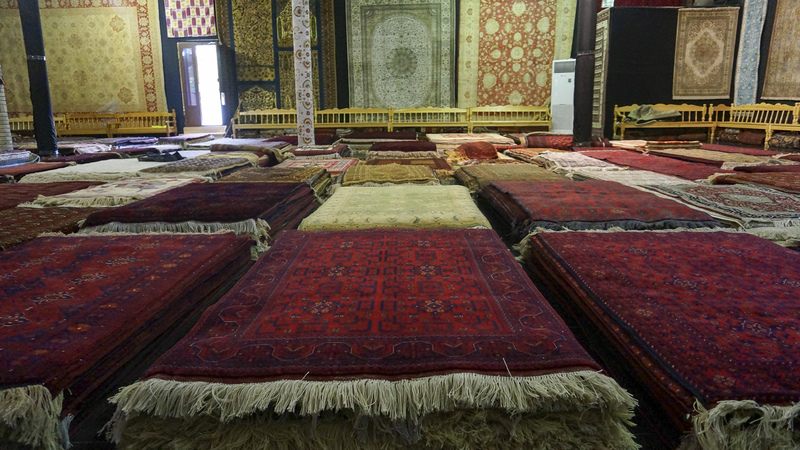 Our action packed morning was nearing to a close with the promised carpet shop to end. On the way we passed through the Gold market – selling everything from jewelry to gold thread in carpets. The sales people weren’t pushy and were happy for us to browse their wares. Sabina’s wonderful carpet shop next to one of the only cash points in Uzbekistan! We entered the shop through dark glassed windows and were welcomed by carpet upon carpet laid out in front of us. The came along Sabina, perhaps the best salesperson I have ever had the pleasure of listening to. She told us about the carpets, the difference between camel hair and silk, the pros and cons of both and how to tell the difference between synthetic silk and real silk. She was amazing and yes we did buy a carpet….or two! 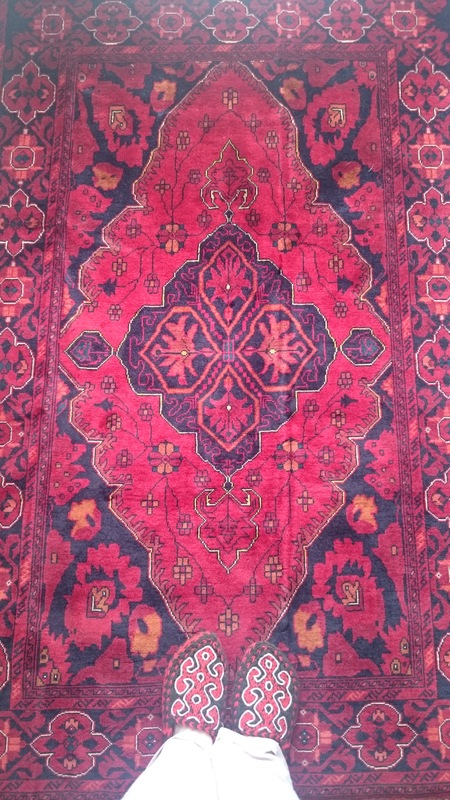 If you are ever in Bukhara or want to buy some really nice well made special carpets of any size then please please head to Sabina’s shop. I promise you won’t be disappointed!! 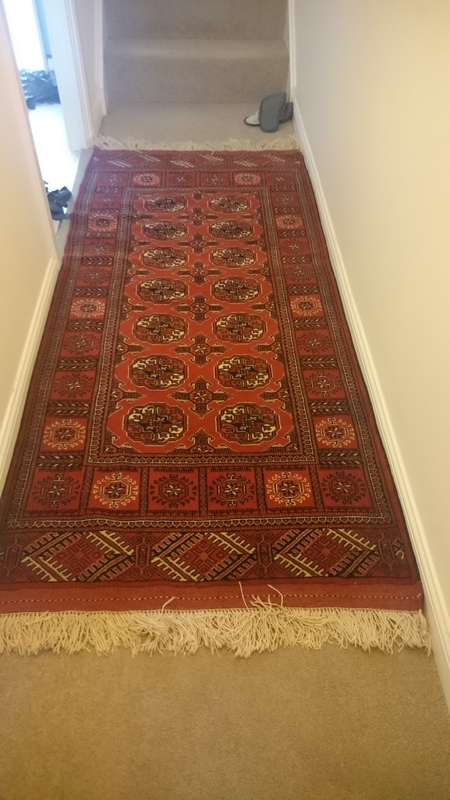 Have you ever brought a wonderful carpet on a whim?